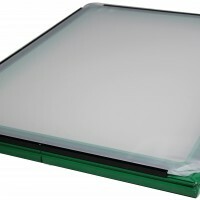 A new screen system by Sefar saves both money and time, giving you fresh screens when you need them, not when your supplier gets around to your order. Special Effects Inks - new to North America! 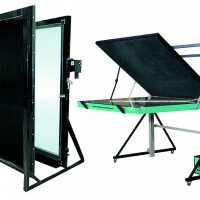 With a screen press and a UV dryer, you can now add an incredible range of special effects to your product line with minimal investment in specialized converting equipment. 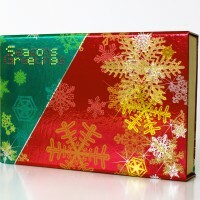 Offset printers, digital printers - make your products stand out and sparkle. Air driven parallel lift one arm presses are the perfect solution for short runs or working on difficult to handle materials. 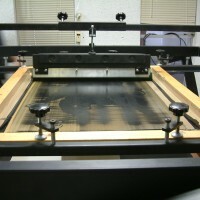 Quick setups, up to 3" of lift adjustment for thick materials, micro register, and ergonomic design make large format printing jobs easy. Working in the home, school, or studio? Only printing small runs and simple designs? 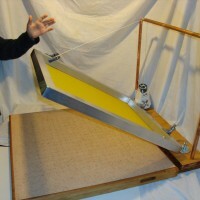 The RABBIT vacuum hand presses are affordable and easy to print on. Available in 2 sizes, literally thousands of these are in use - a favorite of the Rock Poster crowd and DIYers. The Eagle line of exposing systems include 4 basic types, and range in size from 39x49" up to 10' x 22'. Some have self contained UV fluorescent tube lighting, and some require separate point light sources. 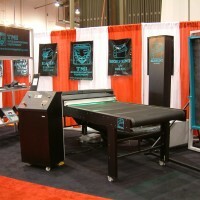 Serpent UV dryers are made for a variety of drying jobs in screenprinting and offset production facilities. From 12-60" in width, as well as a 3D container drying unit, these give good value and deliver low maintenance costs. A listing of available machines from customers and our dealer network. 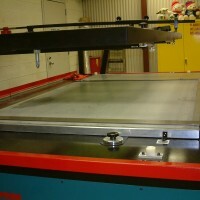 We also source used machines and offer rebuilding and technical repair services on a range of makes and models.